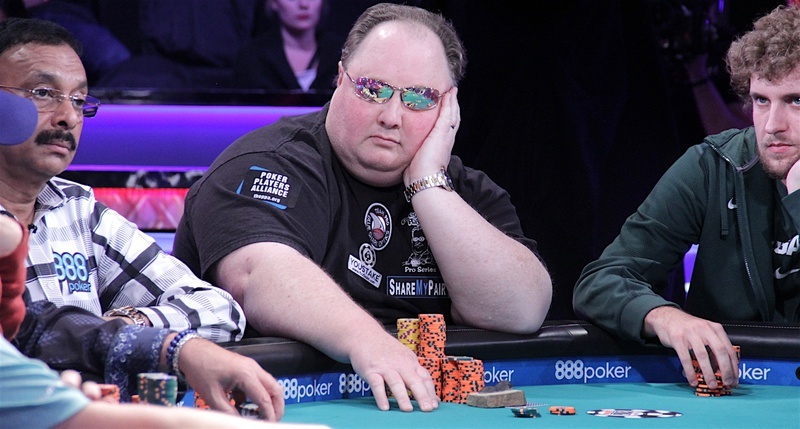 The last former champion alive in the 2016 WSOP main event was 2004 winner Greg Raymer, who sat with an average stack with fewer than 160 left on Saturday. For Raymer, who might have made the final table again in 2005 had it not been for a brutal hand against Aaron Kanter, the title of last champ standing means nothing. Johnny Chan, the 1987 and 1988 winner, hit the rail in 180th place on day 5, which was good for a $42,285 payday. Raymer won $5 million in 2004, and his 25th-place finish in 2005, which was the last time he cashed in the main event prior to this year, was good for $304,000. “Fossil Man” is already thinking about how great it would be for his second bracelet to be in the tournament that put him on the poker map right when the poker boom was beginning. However, the 52-year-old North Carolinian knows very well that you can’t get too far ahead of yourself in the main event, or you might blow up. When Raymer won the main event the field size was a record 2,576, more than triple the number of players the year before when Chris Moneymaker altered the course of poker history. The main event field size reached a peak of 8,773 in 2006, but it has remained steady over the past decade. This year’s field size of 6,737 was the largest in five years. Raymer said that the experience of being deep before allows him to play his A-game at times when other players might be feeling the pressure of the lights and cameras, as well as the massive money jumps. He also knows you can dominate by almost going back-to-back and then not cash in the event in over a decade. With so many players and a significant portion of the field being amateurs, the main event is often described as a minefield, but, according to Raymer, that characterization applies to any tournament with a big field these days. The difference is that the main event has so much money on the line and the psychological toll that comes from a bad beat or a fatal mistake is a lot to deal with. “Because it’s the main event you feel it a lot more when one of those mines blows up in your face,” Raymer said of navigating thru a seven-day poker tournament. Because it has been so long since his last deep run, Raymer said the memory of falling short in 2005 isn’t on his mind. The time has healed that disappointment, and now it’s about making the most of this opportunity. You can never count on a deep run happening again. 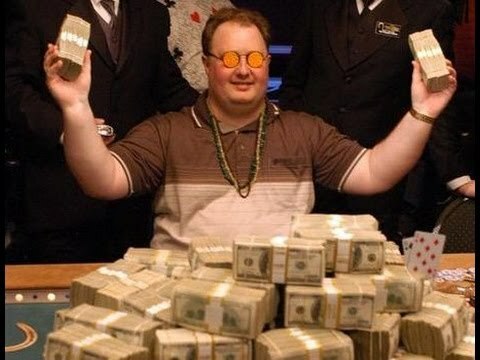 His remarkable runs in 2004 and 2005 were the product of great play, but Raymer did enjoy big stacks throughout the tournament in both years, and he used his chips and table image to find some spots where an opponent would disintegrate and basically gift him all their chips. He seemed to have an uncanny ability to spark a blowup from an opponent. This year, thanks to not having a top stack, he’s had to adjust his play. But it’s also a different era of poker. According to Raymer, tanking in the main event, especially in its later stages, is better and worse than it was over a decade ago. That’s another way the game has evolved.